For more than 85 years, wilko has enjoyed success and seen a lot of change. Starting with Old Charney our first store in Leicester back in 1930, developing our first wilko brand paint range in 1973 and welcoming our first online customer in 2007. Together, with our customers and team members, we’ve grown to be a nationwide business solving the needs of our hard-working families to help them be the best they can be. Today, we’re a brand with over 14,000 wilko products that are over half of our annual sales, we have over 400 stores in the UK and we are rapidly growing wilko.com with over 200,000 products available at wilko on line and over 600,000 followers on social media. More than ever before, we’re a one stop shop for hard-working families, providing products that help them make the most of their homes and gardens. 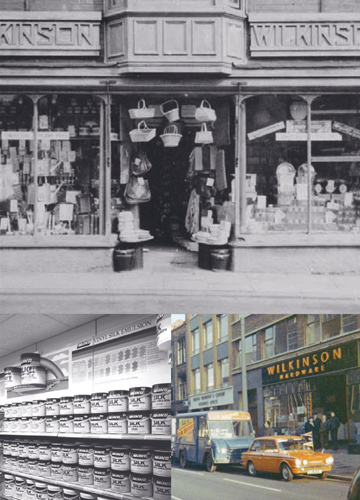 We’re really proud of our heritage and as we look to the future, we’ll continue to develop and grow our wilko brand to meet the evolving needs of our customers.